We started from Arun and Vidya’s in Bangalore at 5.10 am. 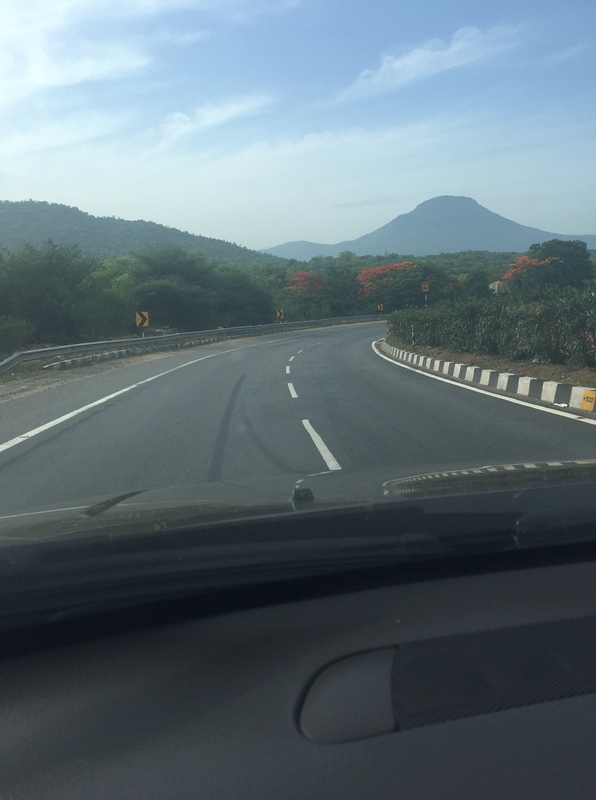 For the first time we could drive at 80 kmph in Bangalore and were able to enjoy empty roads. We got onto the elevated express way very quickly but not without getting a super jolt while crossing the underpass at the Madiwala junction. There is a drain or a joint in the road which is like an inverted speed breaker, essentially a speed crater :):). Can never understand Karnataka’s fascination with speed breakers and speed craters !!! 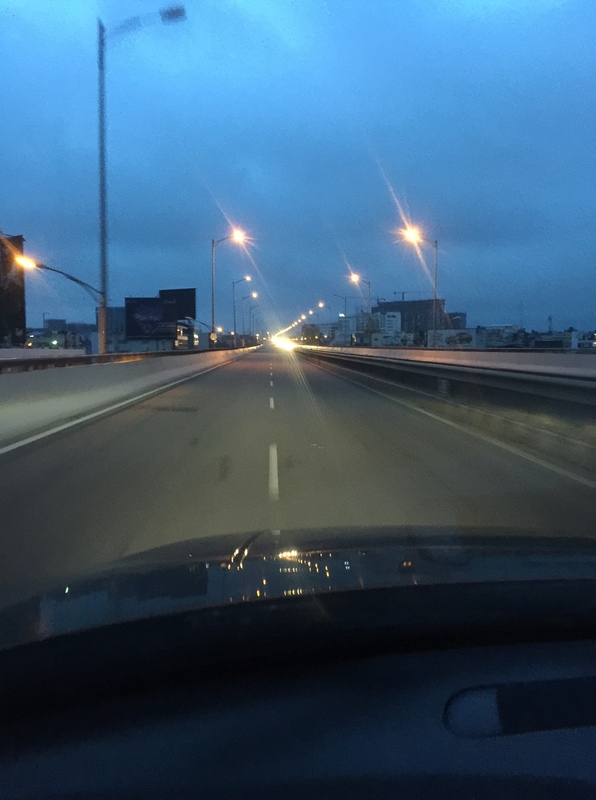 While exiting the elevated at this early hour, just one toll window is open and there is a queue. But the good thing is no one breaks the queue. We crossed Hosur and Krishnagiri under an hour, the fastest that we have exited Bangalore since 2007. 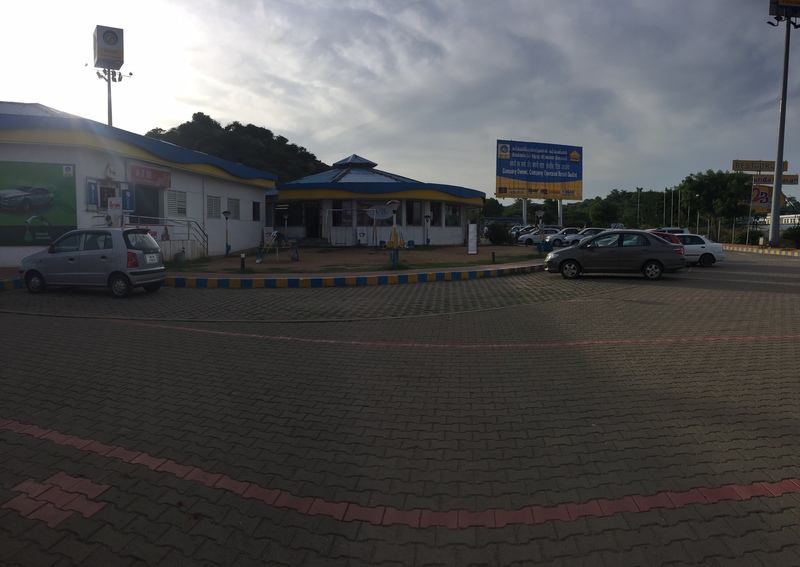 We reached our favorite Bharat Petroleum fuel station after crossing Krishnagiri, which is along with the Adyar Anand Bhavan restaurant. The car was fed and we fed ourselves a really early breakfast and the customary filter coffee. We took a break of nearly 45 minutes here. Then got onto the road again, starting from this place by 7 am. A word of praise for this fuel station, the car showed the highest range after filling the fuel tank to the fullest – 810 kms. The highest we have got till date after filling up the tank has been around 710 to 740 kms range. We passed Salem and the 100s of mango shops there in under three hours. 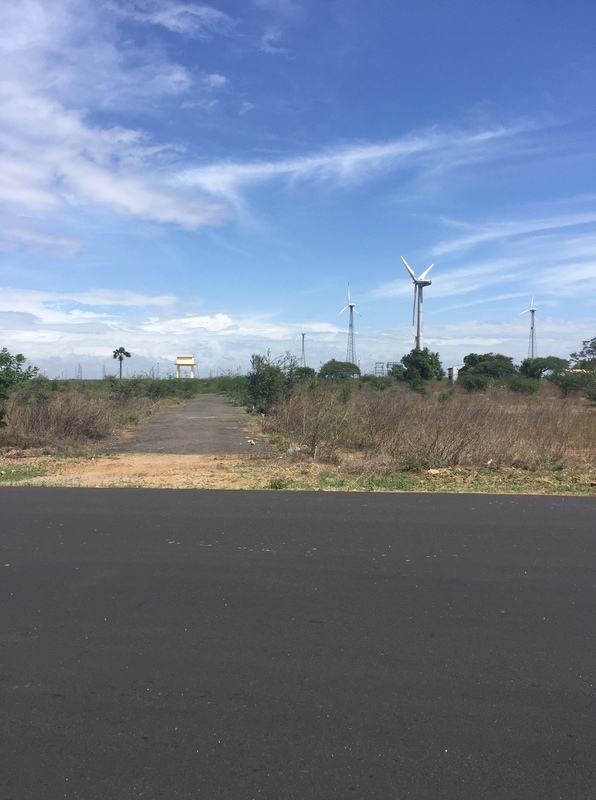 We then reached the Avinashi bye-pass by 10 or so and were in Udumalpet around 10.40. The windmills were wonderful here. We refueled here just before reaching the climb to Munnar. Good that we did because the fuel was just guzzled on the way up to Munnar. We started from the Anamalai Tiger reserve by 12 noon and suddenly we were in Nature’s heaven – the lush green of the hills and the light drizzle was just magical. The distance to Munnar town from the Anamalai Tiger reserve starting point is about 71 kms and takes two to 2.5 hours to complete. The road is bad on the TamilNadu side but is rather good on the Kerala side. Because it was a weekday there wasn’t much of traffic, and most drivers were sensible coming down. We reached the Munnar town by 2.30 or so and then realized that the Club Mahindra property was another 20 kms from there. 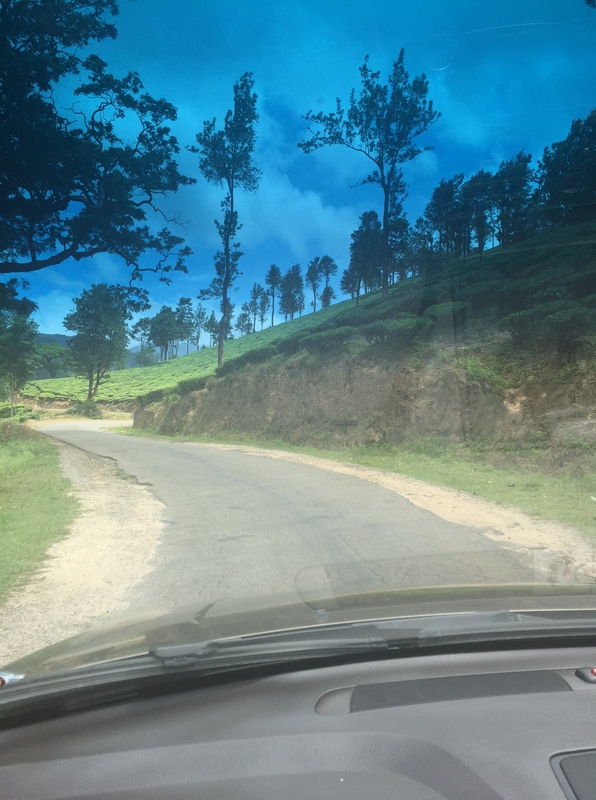 This is feedback for Club Mahindra – we love their properties as they choose really picturesque places to build their resorts at, but their directions to reach a destination are abysmal !!! There were three forks in these 20 kms where we were clue less about which way to turn… they have prominent boards when their resort is at 0 kms but reaching till them is a nightmare. At Munnar, they have two properties and we were told to go another 1.5 kms to reach the one we are staying at. That’s a rather steep climb and we had to reverse the car at a couple of the hairpin bends before getting up to the resort. Once you reach the place – it is awesome.